Imagine that you’re onsite, and you get dust in your eyes. They start burning, watering, and turning red. Suddenly, your vision blurs and you start to panic. Job sights are dangerous enough with eye protection, so why risk going without? In occupations such as manufacturing, construction, auto repair and welding, it’s required that you utilize personal protective equipment to shield your face and eyes. Direct exposure to dust particles, acidic chemicals, and hazardous radiation leave you vulnerable to optical damage. That damage scales from minor irritation to permanent vision loss. You’re no-doubt reading this article on a computer or mobile device, so do yourself a favor and look away (just for a moment, of course). The average person blinks about 15 times per minute. That number decreases to about five to eight times while staring at digital screens, which leads to eye strain. The American Academy of Opthamology (AAO) suggests that employees use the 20-20-20 rule when working on a digital screen. That is: shift your eyes every 20 minutes to look at an object 20 feet away for at least 20 seconds. Now more than ever people experience digital eye strain, or Computer Vision Syndrome (CVS), due to prolonged viewing of digital screens. Whether you’re staring at a computer screen for seven hours each workday or using your phone for long periods of time, you’re straining your eyes and affecting your vision. Symptoms of CVS include: Eyestrain, headaches, blurred vision, dry eyes and general fatigue. CVS leads to over 10 million eye doctor visits each year. If you spend more than two hours in front of a computer daily, you have a 90 percent chance of developing the syndrome. In most cases, CVS is short-term. However, productivity decreases by as much as 20% when a worker’s vision becomes impaired, so it’s important to look away every once in a while. The best way to detect a problem is to find it early by way of vision testing. For a standard vision test, a medical professional examines: Depth perception, color vision, near-sight, far-sight, and peripheral vision. 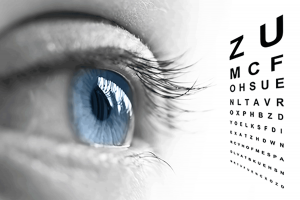 Most eye care professionals recommend that you have your vision tested once every two years. However, that number may change depending on your position and the industry in which you work. For example, if you operate a crane or piece of mobile equipment, or drive a commercial vehicle, then vision testing is required as part of your certification. Furthermore, vision testing is also an NFPA 1582 firefighter medical surveillance guideline. This March, add vision testing to your company’s medical surveillance plan to keep your employees safe, healthy, and productive. Add vision testing to your medical surveillance plan today!